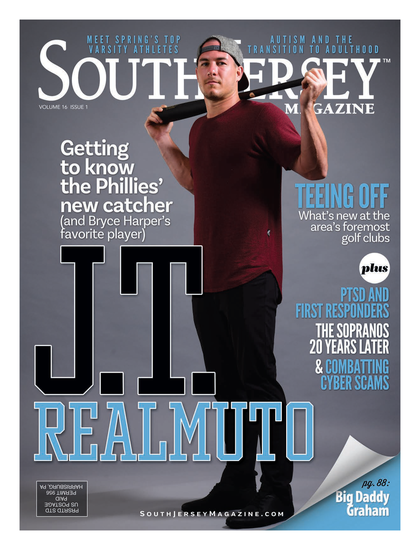 It is with great pleasure that we bring you this highly anticipated edition of South Jersey Magazine, our annual Best of the Best issue, celebrating the people, places and things that make our area stand out for all the right reasons. We are particularly proud of the finished product because of the amount of time and commitment that went into producing it. Immediately after last year’s issue, my editorial team and I sat around brainstorming ways to make this year’s installment even more special for our readers. We decided to research more winners in highly specialized categories, in order to offer a bolder alternative to the run-of-the-mill lists found in so many other publications. For the past several months, our dedicated staff of editors, writers and interns spent days, nights and more than a few weekends seeking out the latest and greatest in South Jersey—from Italian restaurants to Swedish massages. We ate too much, shopped ’til we dropped and one of us even got his first straight-razor shave. I’m not going to say it wasn’t a lot of hard work, but there are worse ways to spend your time. While the winners are sure to spark some debate, (they always do), there’s no denying that this year’s honorees are an elite bunch and worthy of recognition. And, once again, we took your opinions into consideration, and listed your picks on everything from the ultimate sandwich to the ideal yoga studio. It all culminates in our most authoritative Best of the Best guide ever. Also this month, we sit down with famed filmmaker M. Night Shyamalan to find out about his worldwide charitable endeavors—and why, thanks to his wife, he’ll always have a soft spot for New Jersey. We catch up with bestselling local author Jennifer Weiner and unveil the winners in our first-ever Top Artist contest. We delve into the controversy surrounding Rev. Amir Kahn and his church’s activities in Cherry Hill, and we take a hard look at Gov. Chris Christie’s proposed plan to revitalize Atlantic City by 2021. I hope you’ll find the issue as engaging and entertaining as it was for us to put together.